Ernst Mayr is perhaps the most distinguished biologist of the twentieth century, and Systematics and the Origin of Species may be one of his greatest and most influential books. This classic study, first published in 1942, helped to revolutionize evolutionary biology by offering a new approach to taxonomic principles and correlating the ideas and findings of modern systematics with those of other life science disciplines. 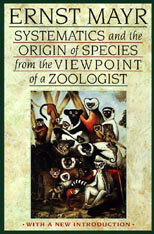 This book is one of the foundational documents of the “Evolutionary Synthesis.” It is the book in which Mayr pioneered his new concept of species based chiefly on such biological factors as interbreeding and reproductive isolation, taking into account ecology, geography, and life history. In his new introduction for this edition, Mayr reflects on the place of this enduring work in the subsequent history of his field.